This phone is really good for its price and i don't regret buying it at all. How to put pic for the contact? How many app can i store in this phone on the memory that is with phone? And if I put a memory card can i put some of the aplications in the memory card so it doesn't lagg ??? migo, 11 Oct 2012this phone is very bad it will destroy the reputation of the alcatel company and i bought this... moreI have this mobile for 2 months, and it is very good! Only bad side is low memmory and not so good camera. redeingel, 21 Aug 2012I had the same problem with dell streak 5' & android 2.3 the oovoo work with front camera... moreI tried this link but it does not work. Can you tell me what version of skype is it??? I am having 3-4 versions and non of them works for video calls... If you have any other link please post it here, thks! Anonymous, 08 Oct 2012I have had this phone for a month now and i love it. Its not good if you want to download load... moreHow does this Alcatel One Touch 991(D) work with Skype application? is the front camera good, any lags? I got this phone on special sale. Happy so far, especially for the price. - One of the most well built phone I've ever owned, and I've owned around 40 phones of almost all brand (except Apple). You'll feel like it's made from one solid piece of metal. 10/10 for construction. - Good battery life. One day for heavy use, two-three days for light use. - Clear voice over conversation, at least from my end. - Very low memory limit number of apps can be installed. SD card won't help much as apps need phone memory, more or less. 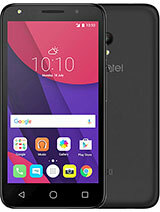 This is my first android and my first alcatel phone. 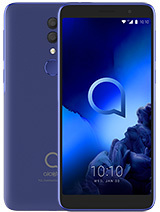 I had heard a lot about alcatel. My sis and me picked up our first android phones together. We didn't have a huge budget she picked up a samsung ace. i feel like an idiot for not reading reviews and doin the same. 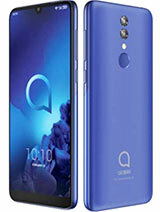 Alcatel has put out a phone that has not only affected their brand name but actually managed to make me hate android. jace, 30 Sep 2012You must throw away this crap out of your life.. what is the use of Cloud back up? Traf... moreI bought this phone few days back and am regretting why i bought it, this is one of the worst android phone so far. How much ram does it have? 256 MB? is OT-991d dual sim and a quadband phone? 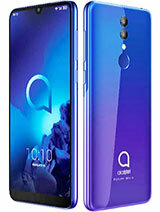 Alcatel mobile phones are very good to use, and their service response is good from customer service end, trust me. Go for it.... make your money worth..... or else pay more to other mobiles just for their brand names...... and for their commercial ads. 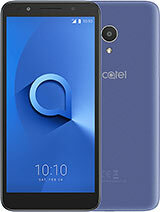 I bought 3 Alcatel mobiles its good to use. 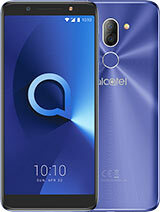 Total of 328 user reviews and opinions for alcatel OT-991.